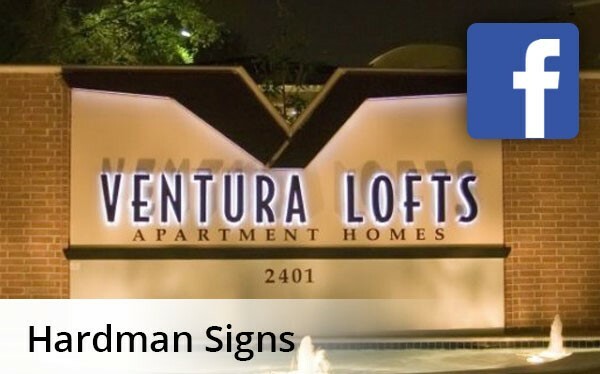 Hardman Signs is the Austin sign company to contact with your signage specifications. Unlike other Austin sign companies, all of our service is completely customizable and we perform a complete roster of design, manufacturing and maintenance services for signage of all types. Every member of our Austin signage team is trained, experienced and enthusiastic and our signage equipment is second-to-none. Read on to learn more about what makes us the top signs company in Austin. Austin Interior Signs: Our Austin sign shop manufactures a variety of types of interior signs. Austin Outdoor Signs: Need outdoor signage in Austin, TX? Call the experts. Austin Sign Types: We manufacture ADA signs, architectural signage, digital signage and much, much more. Austin Commercial Signs: We make the commercial signs needed to effectively market our area's businesses. Austin Custom Services: Hardman Signs goes the extra mile for our cpents, offering depvery, file transfer, graphic design and more. Austin Digital Signs: We can build the digital signs that you need. Austin Channel Letter Signs: Hardman Signs is your premier Austin channel letter maker. Austin Apartment Signage: As one of the fastest-growing cities not just in Texas but across the nation, Austin is attracting thousands of new residents every single month. Hardman Signs is the Austin sign company that you need for fast, customizable and efficient Austin signage services. To learn more about our signs company in Austin, fill out a quick quote form to receive your FREE estimate or call today.